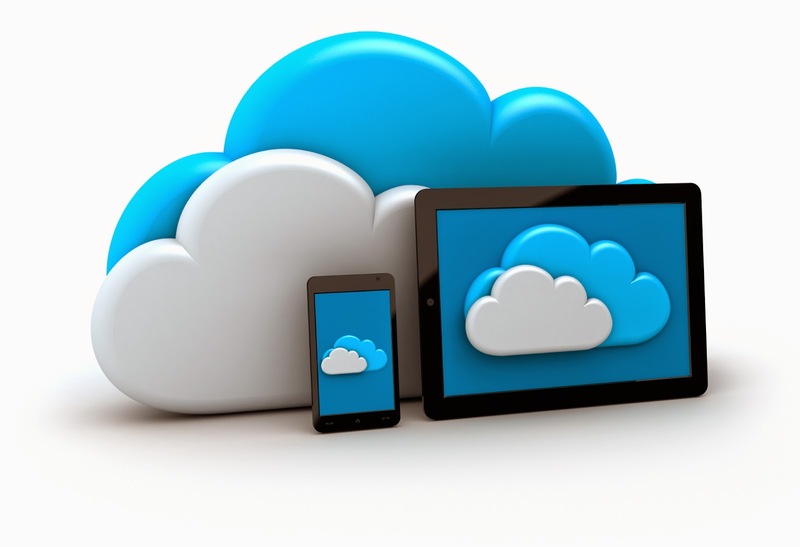 Cloud storage services – you're doing it wrong! The market for cloud storage services is wide and fierce, but what do competing firms lack?Read more to find out! hubiC - how to make it work! Find out how you can work best with this cloud storage service! Backup your data and sync your files via Carbonite? Why not? The highly proven file storage service now comes with a range of dedicated synchronization and file sharing services. In this article we will particularly analyze the Carbonite Sync & Share application, which is now available for any desktop computer, laptop or mobile (iOS or Android). Actually, the Carbonite service has been receiving a lot of positive feedback, so we decided to take a look as well. 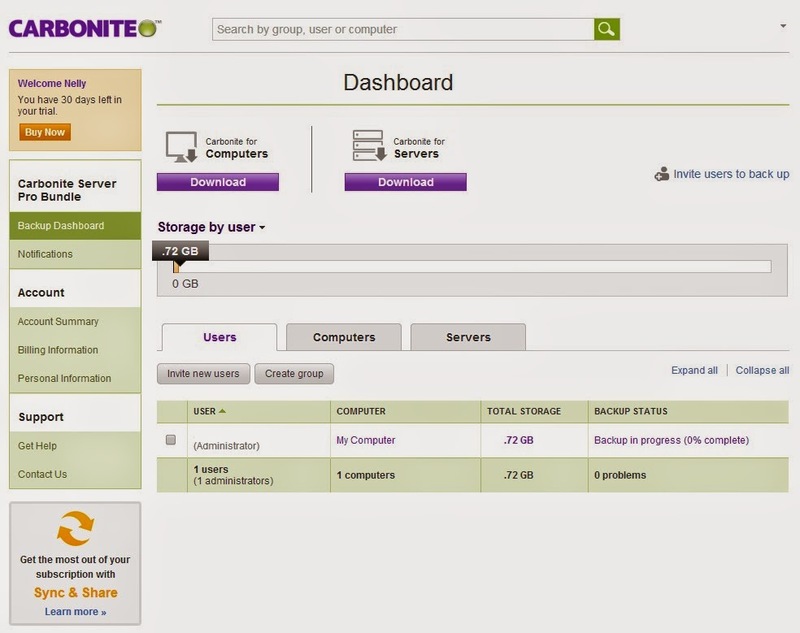 The Carbonite platform, in general, is dedicated to two basic features – backup and restore. It simply provides you with the opportunity to restore your accidentally deleted or lost files and folders, once they have been backed up to the cloud. When using Carbonite, as with any other cloud storage service, your data is always safe in the cloud. It gets encrypted at the very moment it leaves your device. Carbonite does not provide a free version, but you can test the service using its 30-day trial version. In this article we will not examine the service as a whole. We will only focus to its Sync and Share functionality. But before that, it is worth mentioning that on the web platform users can easily view their backup and synchronization processes via the online dashboard. What we don't like about the service is that its file upload speeds are not particularly high, and if you have a lot of files to backup, the process may take too much time. What we need to say about the Sync & Share application is that you simply cannot go without it if file versioning is important to you and your business. To install the application, go to the Carbonite website and download it. For mobile it is available in Apple Store and Google Play. Once installed, by default it creates a list of your recent files (the ones you created for the last 30 days) and automatically backs them up to the cloud. Of course, you can manually specify the files and folders that this list shall contain. All the changes you make to your files on your multiple devices will be automatically synchronized across all of them. 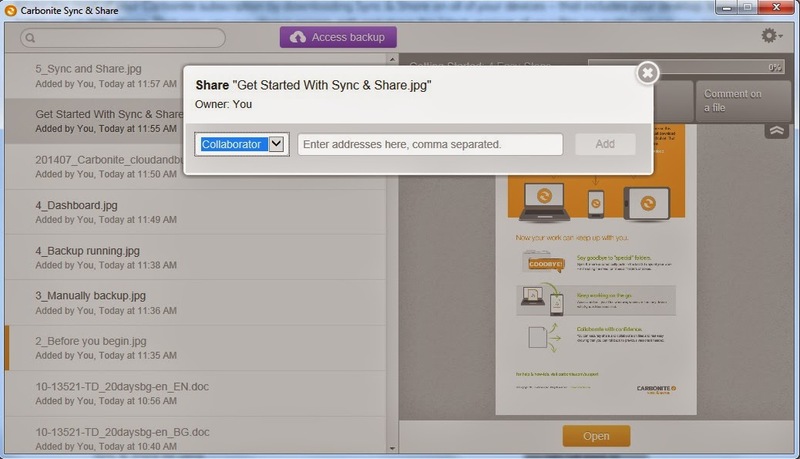 Users can keep their collaborators and friends up-to-date with the Sync & Share functionality. They can securely share their files via the application. Simply choose a document from the list and click the Share option, and you are good to go. Once you do that, add your collaborators' email addresses in the field, and they will get an email, inviting them to your files. Cloud platforms – such a great abundance of services, each with a different twist. The Bitcasa data backup and storage service is particularly interesting in this respect. 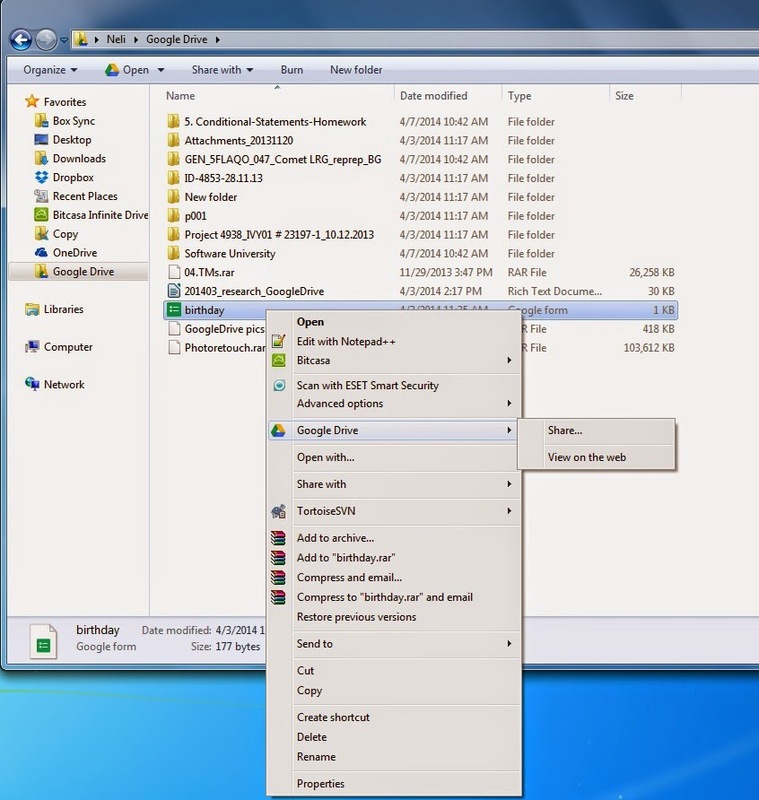 Unlike others, it does not simply create a folder on your computer system, but it establishes an external drive for your multiple files and folders. The only difference from your internal drives is that the Bitcasa virtual drive does not take space on your computer. Shortly, this is your external hard drive in the cloud. This file storage system allows you to drag and drop files and folders just like any external hard drive. The documents you've placed on this virtual drive won't take space on your computer and will be accessible from any other devices you use. This happens when you install the Bitcasa desktop application on your computer. The installation is very easy to perform and takes just a minute, and it's totally worth it. The Bitcasa virtual drive effortlessly backups and mirrors your files and you can access them from all of your computers and mobile devices, anytime. 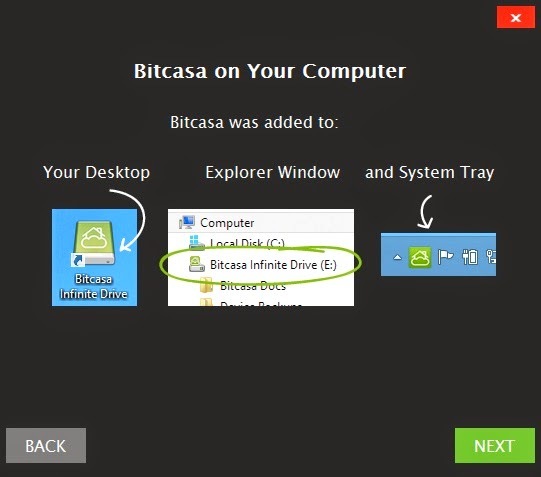 When installed, the Bitcasa application appears as an icon in your Tray Bar, and also, as an external drive on your system. This way you can easily reach it and use it. On the other hand, the web service allows you to listen to your music, watch videos, view photos and documents. 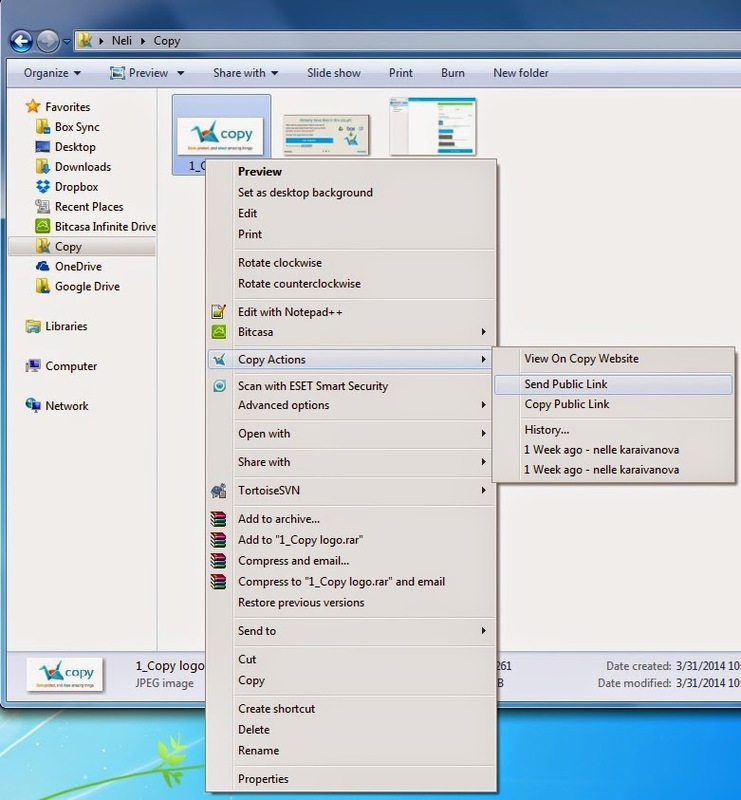 The platform also gives you the opportunity to share files and folders instantly with other users. One way of doing it is by right-clicking on a file, located in your Bitcasa virtual drive. The Send this to a friend option appears. When you click on it you can easily generate a link to share with other users. Alternatively, you can select the Send option on the website after you have marked the file(s) you plan to send. A link is automatically generated and you can send it via email or share it on Facebook, Twitter or an instant messenger. The Bitcasa platform provides secure cloud storage by encrypting your files before they are even uploaded. This way you can safely backup all your digital data and access it via Windows, Mac and Linux, as well as any mobile device. You can access your files even offline. Unlike other similar file sharing services, Bitcasa allows you to view or stream any type of file without additional software required. 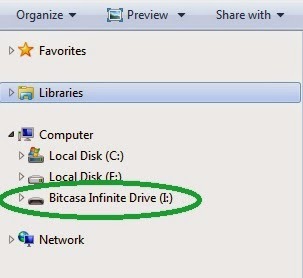 Shortly, what is most specific about Bitcasa is that it helps you save valuable space on your non-virtual drives. The Bitcasa platform provides effortless auto-backup. 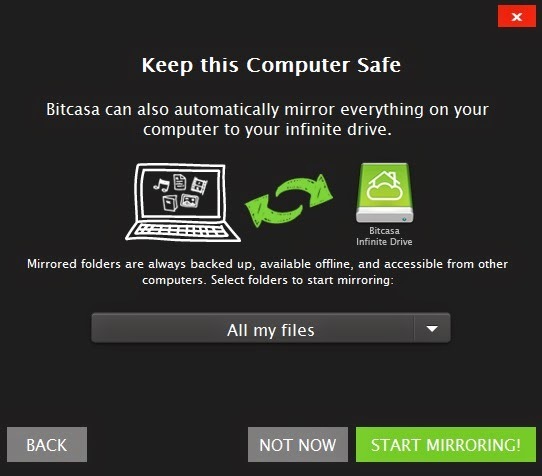 All you need to do is simply right-click on a file or folder on your computer and select Mirror to perform an automatic backup to Bitcasa. 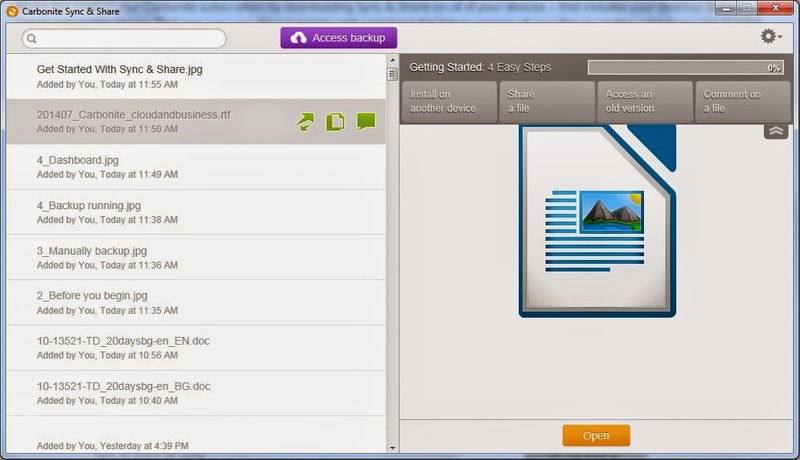 The cloud storage system automatically backups your files even on mobile. You just need to download and install the Bitcasa application for iPad, iPhone or Android. On sign up Bitcasa offers up to 20 GB storage space (which includes some referral steps that you need to perform in order to get all of the aforementioned space), but if this is not sufficient for your needs, you can always upgrade to a paid plan. And we need to say, the prices Bitcasa offers are very reasonable. pCloud has a new independent service to offer its users. This is the pCloud Transfer. To use this new free file transfer platform of pCloud, simply go to https://transfer.pcloud.com/ and you will get the following start screen. A nice bonus is that you don't need to be a registered user in order to use the service. Basically, through this new platform you can send multiple files (up to 5GB in size) to other users, who also don't necessarily need to be registered users of pCloud. However, if you register to the pCloud service, you will be able to send files with unlimited size, as long as your quota allows. In order to use pCloud's free file transfer service, simply enter your friends' or coworkers' emails in the Friend's Email field. When you enter an email, simply click Enter on your keyboard and the email address will be added to the list of emails on top of the field. 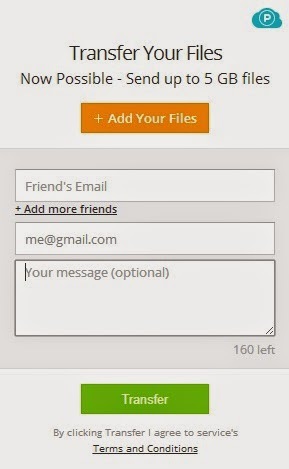 Alternatively, you can click the + Add more friends option to enter other email addresses. Then, enter your email in the Your Email section, below the other users' emails. This email address will appear as a sender to the email your friends will receive. After you are ready with entering the addresses of your recipients and your email address, add the files you intend to send using the + Add Your Files section on the screen. You also have the option to enter a message to your friends, explaining details of the content you are sending. However, you may choose to leave this field empty. When you are ready with all of the aforementioned steps, click the Transfer button at the bottom of the screen. At this point you will get a cloud screen, showing you the progress of your transfer. To the right of it you will be provided with the option to go to your pCloud account, or, if you are not registered yet, to register an account. 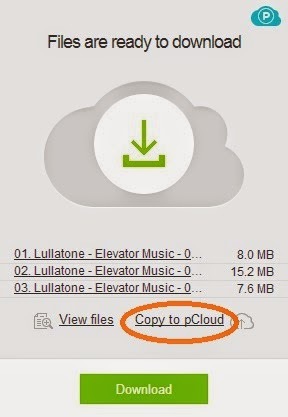 When the transfer is already completed, you are provided with the option to copy these files to your pCloud account or send more files. This screen contains information about the sender (i.e. 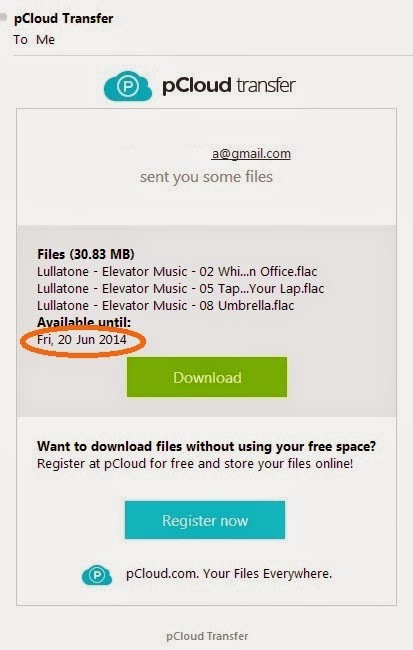 their email address and their message); a list of the files being sent; an expiry date for the files (they can be downloaded within a period of seven days); an option to Download the files and an option to register to the pCloud platform. When you click on the Download button, you are presented with the following screen. At this point you have the opportunity to view your files, copy them to pCloud, or Download them. 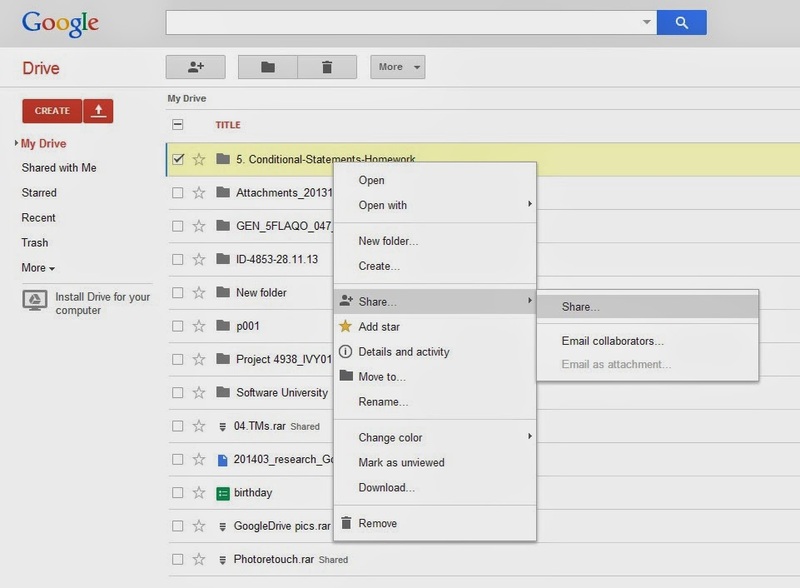 When your recipients open their email, containing a link to your files, you will get a notification that they have received your files. This way you can be sure that the transfer has been successful.